How to Connect and Use PS4 Controller to your PC? – The PlayStation 4 DualShock 4 is a powerful controller and it is one of the highly sophisticated gamepads in the market today. It’s super intuitive and precisely designed which takes your gaming experience to the next level. The triggers and analogue sticks let you control every action whether it is an explosion, hit or a crash. Do you want to check out how it performs on your computer games? Do you want to try PS4 Controller on your Computer? Well, it’s really possible and easy. Just scroll down through the given methods to Use Play Station 4 Controller on PC. 1.1 Method 1: How to Use PS4 Controller on PC using Wireless Adapter? 1.2 Method 2: How to Connect PS4 Controller to PC with DS4Windows Software? 1.3 Method 3: How to Use PS4 Controller on your PC using Bluetooth? 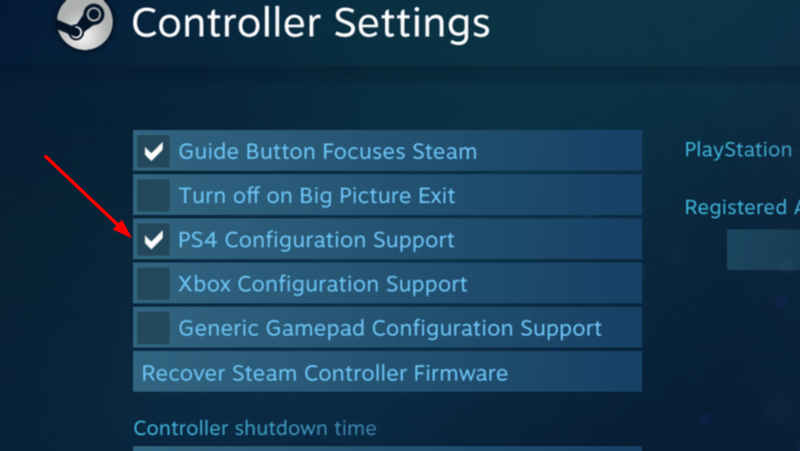 1.4 Method 4: How to Connect PS4 controller to your PC via Steam? It used to be nightmarish to connect Play Station 4 controller to a PC (Computer / Laptop). Fortunately, it’s quite easy now to pair them because of the wonderful software and the tools. There are many ways to Use PS4 DualShock 4 controller to your PC. We’ve rounded up 4 best solutions to connect the PS4 controller to your Windows PC. Let’s check them. There are many ways out which helps you Connect and Use Playstation 4’s Controller on Computer or Laptop. Here we are gonna list Best four methods which are tested and quickest to Use PS4 Controller on PC. You can check one by one and follow the one which suits your needs, availability and preferences. Method 1: How to Use PS4 Controller on PC using Wireless Adapter? Note: This method costs some bucks because it uses an external device called Wireless Adapter. If you are fine with it then go ahead. And yes, this is the quickest way to Connect PS4 Controller to your PC. The other methods costs nothing, so you can even check and try them. Step 1: Plug the Sony Wireless Adapter into the USB Port on your computer. Step 2: Switch on your PS4 DualShock 4 Controller. Now the adapter and the DualShock 4 controller will detect each other automatically. ALSO CHECK – How to Fix iPhone X Black Screen Problem? Method 2: How to Connect PS4 Controller to PC with DS4Windows Software? 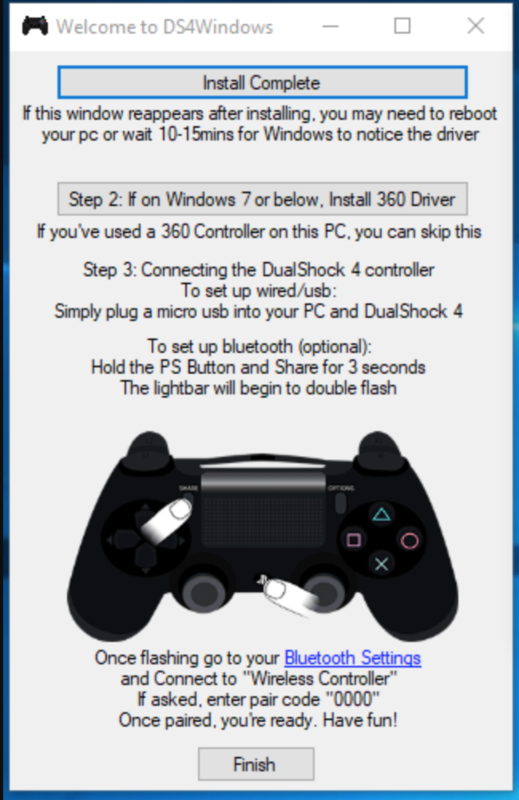 This is one of the best solutions to connect PS4 DualShock 4 controller with your Windows PC as you do not need to rely on any third party tools or software and not even any extra Device such as Adapter. 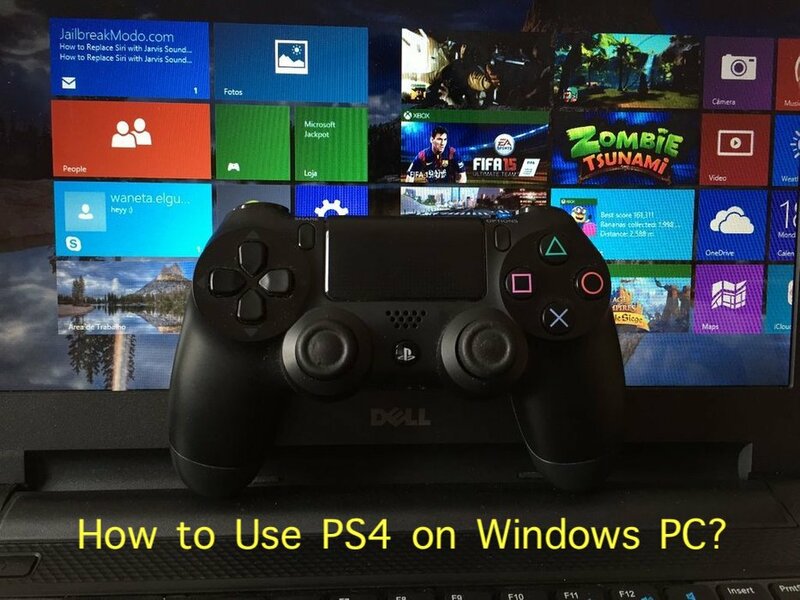 It’s actually very simple to Use PS4 on your PC using DS4 Windows Software. Follow the below instructions step by step to connect PS4 controller to your computer. Step 1: Download the DS4Windows Software in your PC. Step 2: After the download is complete, unzip and double-click on the DS4Windows.exe file to install the software. Step 3: You’ll see two options in DS4 setup window. If you are using Windows 8 or above then click on the “Step 1” button (in the setup window) to install the DS4 drivers. If you are using Windows 7 or the below versions, click on “Step 2” option. Step 4: Once the installation process is done, connect your PS4 with the PC using the micro USB cable. Open the DS4 Windows software and click on the Controllers tab. You’ll see your PS4 listed over there as you’ve connected it to your computer using the micro USB cable already. Step 5: If you do not find your PS4 controller in the Controllers tab, just plug it out and connect the USB cable again. If the problem persists, then go the DS4 Windows folder which you have extracted from the zip file. You’ll see a file called DS4Updater.exe. Click on it to get the latest update of the DS4 Windows. After the update is done, check the Controllers tab again and see if your PS4 Controller is detected or not. That’s it! You PS4 controller is now connected to your PC. Now, its time for you to start playing your favorite computer games using PS4 Controller. CHECKOUT – How to Setup and Use Miracast on Windows 10 PC for Screen Mirroring? Method 3: How to Use PS4 Controller on your PC using Bluetooth? Gamers who love to play the games without any cables often prefer to connect the controller using Bluetooth. For this solution to work, you need to make sure that your PC has an inbuilt Bluetooth receiver. If you do not have a Bluetooth receiver, you can use any Bluetooth dongle to pair the PS4 controller with your Windows PC. 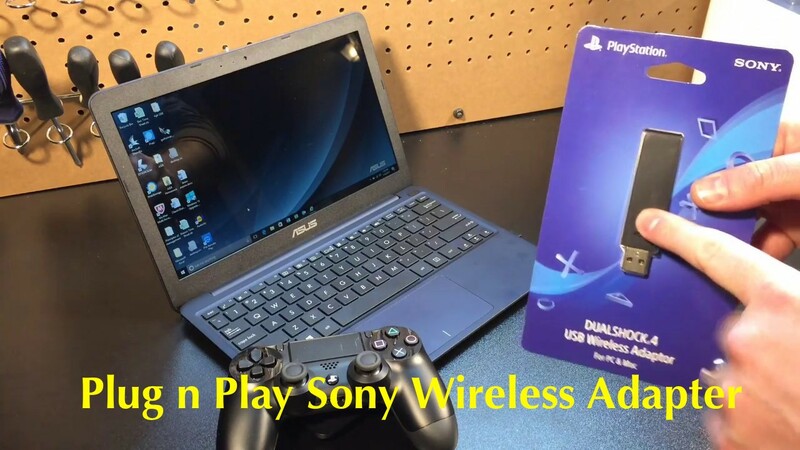 Step – 1: To be able to connect PS4 controller to Windows PC, you need to install the DS4Windows software. Go to Method 2 above and follow the first 3 steps to install DS4Windows on your computer. Step – 2: Click on the Start button on your computer and open the Settings app. Step – 3: Enable the Bluetooth connection. Step – 4: Press and hold Share and PS buttons simultaneously on your DualShock 4 controller until you see the light flashing. Step – 5: Go to Bluetooth Settings on your computer. You’ll see Wireless Controller in the list. Click on it to pair with your PS4 controller. Now you’ve successfully paired the PS4 controller with your computer. You can start using PS4 Controller on your PC now. 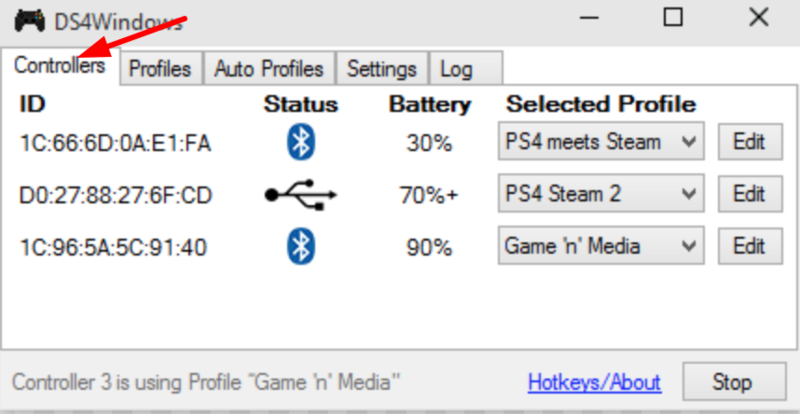 Method 4: How to Connect PS4 controller to your PC via Steam? Step – 1: Open Steam on your PC. 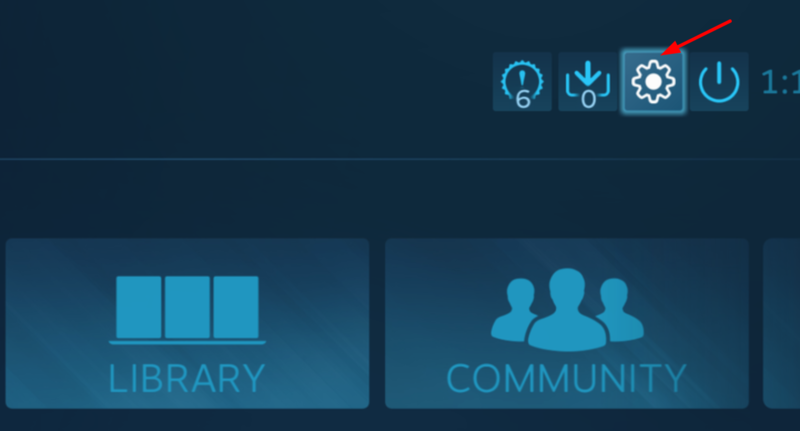 Click on the Controller Icon which you see on the top right corner in the Steam program. Step – 2: Click on the Settings Icon in the top right corner. Step – 3: You’ll see an option called “Controller Settings” inside the Settings window. Click on it and check the PS4 Configuration Support. And click “Done“. Step – 4: Connect the PS4 controller with your computer using the cable which you get with DualShock4 kit. Click on “Connect” on the Steam to pair the PS4 with PC using Steam. That’s it! It’s easy to use PS4 on Computer or Laptop via Steam. Though Steam offers native support for the DualShock 4 platform, you may not be able to play all the games without any hassles. There are few games like Dark Souls III which fail to detect the PS4 controller when you connect it via Steam. So in such cases you can try out the other gives methods of connecting and using PS4 Controller on PC. RECOMMENDED – How to Download & Install Realtek HD Audio Manager for Windows 10? It used to be a complicated process to Connect and Use PS4 controller on Windows PC just a couple of years back. Thankfully it’s super easy now. Gaming portals like Steam are offering native support to PlayStation 4 officially. Sony Wireless Adapter is the best way to seamlessly connect the controller to your PC. DS4Windows software helps us to connect the DualShock4 controller to the PC just by using a micro USB cable. DualShock 4 performs much better on Windows PC when compared to Macs. Though it is easy to connect the controller with Mac, the compatibility is limited when compared to Windows PC. That’s all for this Guide. You can participate in the Comment Discussion below if you are facing any trouble in Using PS4 Controller on PC (Windows, MAC or any other).